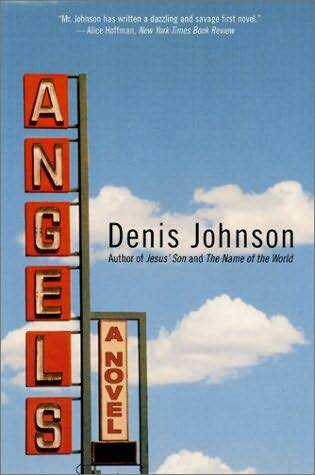 I should have more on this later, but I just started reading “Angel,” the first novel by Denis Johnson and the book that propelled his literary career into stardom. I had read “Jesus’ Son” awhile ago so when I saw this book I had to get it (it was also only $1.50, so that helps too ;)). Anyway, I love the direction. His novel again deals with the underbelly of society, the people searching for meaning in unusual places and finding truth and faith in uncommon places. I love his prose style because it is bare, but so descriptive that my skin sometime crawls. I will know more once I am finished reading it, but until then I love to pull every world from this book.